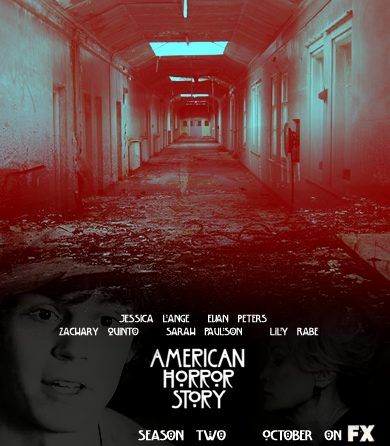 American Horror Story - Season 2 - پرستار made Poster. . Wallpaper and background images in the American Horror Story club tagged: american horror story season 2 fan art poster. This American Horror Story fan art might contain سائن ان کریں, پوسٹر, متن, چاکبورڈ, نشانی, تختۂ چاک, سٹریٹ, شہر منظر, شہری ماحول, گلی, شہر ديکھا, شہری سیٹنگ, ریل روڈ ٹنل, and ریلوے سرنگ. tate langdon • آپ think i'm crazy?